TJ Hughes: Free Delivery?? Yes Please!!! Did you know that March is national bed month? No? Well we didn't want you to miss out so to celebrate we will be offering free delivery on selected memory foam mattresses and toppers. It is proven that a sound sleep is good for our health and can make you healthier and happier, and we bet you didn't know that it can even add years to your life!! We don't know about you but we think this sounds like a great excuse to have a well earned lie in this month. To celebrate we are giving you free delivery on selected memory foam mattresses and memory foam toppers to help you get that all important good nights sleep. Memory foam has many properties and benefits which have made it so popular when used in mattresses, toppers and pillows. Memory foam is a temperature sensitive visco-elastic material. At room temperature it will mould itself to the shape of the body within a few minutes. Contrast this with a normal mattress that is simply flat, however well sprung, it will never precisely mould to the curves of a human body. This is why many people find that memory foam reduces the symptoms of problems such as back ache, neck pain and arthritis. If you want to try memory foam but do not want to go to the expense of buying a new mattress then a memory foam mattress topper is the ideal solution. These are a great way to "overhaul" your bed as they sit on top of your existing mattress and can change the feel of your current bed immediately at a relatively low cost. 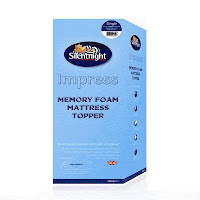 Enjoy the extra comfort and luxury of a memory foam topper with this Silentnight Impress at just £54.99 delivered for a double. Non-allergenic memory foam moulds to your body shape and returns back to it's original shape and help to relieve aches and pains. This toppers is approximately 3cm deep and has a removable, machine washable, cover. 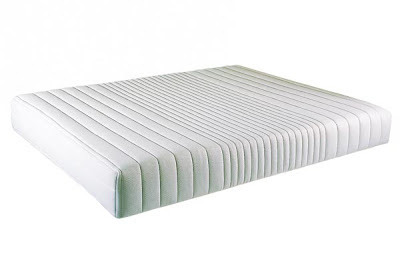 This 2.5cm deep Quest memory foam topper moulds itself to your body to provide maximum comfort & support. This topper starts from only £24.99 delivered and is non allergenic and orthopaedic. Our Opulent Dreams memory foam mattress is a steal starting at just £99.99 delivered, which is a staggering saving of £150 off the RRP of £249.99. This memory foam mattress promotes good healthy blood circulation and has heat sensitive, state of the art technology. It responds to body heat and moulds to body contours for the ultimate comfort, therefore reducing pressure on joints relieving minor aches and pains. Don't forget your Sleepy Head!! 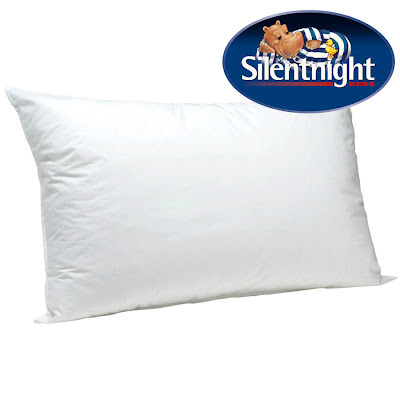 To compliment your new memory mattress or topper these Silentnight memory foam core pillows are £9.99 each or buy 2 for £16, and we're sure you'll agree that's an amazing deal?? These pillows gently cradle your head at the correct angle, to allow the spine to rest in its natural position. They have a firm core with soft memory foam layers to provide gentle cushioning and have a soft hollowfibre surround for improved support. Let us know what you think of these offers. ﻿Look out for a post later in the week with our fantastic bed offers for national bed month, but if, like us, you don't like to be kept waiting you can see them now! !